Please feel free to join and have a good time here at Power Dueling Academy!!! We are nothing but power and we work together and we are the next Best Academy!! Vinyl's Card of the Week this week is Twin Photon Lizard! If you want to be a Admin/MOD/Tester sign up here and me and the rest of the admin's will look over your application and decide. This is where all of the new recruits to the academy will introduce themselves. You can post links or picture's here when you deal 8000 or more damage in 1 turn. If you want help with your deck or anything, post it here and you might get some good help. These are the official rules of the Academy. Please take your time to read, and, follow these rules. This is where Admin will post anything new that is going to happen or something that is about to start. This is where I will post up and coming tournaments. This is where you post if you have an idea for the site. Post here if a member of the site is causing you trouble. Vinyl's Card of the Week. Here I (Vinyl Scratch) will rate one card each week. Here you can post about any monster, spell or trap. Here you can upload and post your videos if you want to. These are simple rules you should all know. If you want to be tested but there's no tester online. Post a topic here and you will find a tester as soon as possible. If you need testing post here and please leave your DN (duelingnetwork) name also. Here you can find the office of the Vice-Principle.If u have any questions PM HIM. This dorm is for the academy's defending team only. You can only join this dorm by invitation from the Head Admin only. If you get placed here that means you are the best out there and are very hard to beat and most likely you will be on the team of the academy. If you get placed here you are an Advanced Duelist. The top Dorm, were very few of you are ever going to be. The Average Dorm, were most of you will be placed. The lowest ranked dorm, if you are placed here that means you need to work really hard on your dueling skills. post here if any of you are going to duel each other. and please both players need to confirm this duel and the winner of the duel(s). I will post all my tournaments here and feel free to join them. Post here any decks you've recieved from a shop. Post who you bought it from, and how much DP it was. If you have invited someone please post here you will gain 30 DP for each member you recruit. Here you can keep track of yours and other member's DP's. Here you can post about any kind of game. here you can start a forum game. Yo I just got into mixing my own music. This'll be where I post mixes, and selections that like. Here you can post anything to pictures, video's, gif's or anything like that... this is the fun section of the academy. Here you'll find tutorials about a lot of stuff. Don't post any Topics here because they will be deleted. 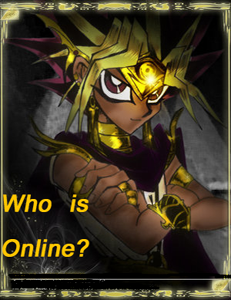 Here will be lessons held to teach the newer players of Yu-Gi-Oh more then basics. At the end of every 15th lesson there will be a quiz with a prize for the top 3. This #1 Card of the Month is Chaos Emperor Dragon - Envoy of The End. Alright so, i'm going to be gone until the 23rd of this next month. Yu-Gi-Oh! Online is having its evolution matches, gunslinger, and duelist trial and I need to get team points. The duels are tough and theyre tiring after enough of them. I'm sorry but I did need a break from yu-gi-oh for a while. And I'm also very sorry I missed the Academy challenge. Christmas came and I got a new Xbox 360 and that's why I've been gone for that amout of time. These are Deck's you have received. You must post here to recieve/lose dp for all things involving deck shops.